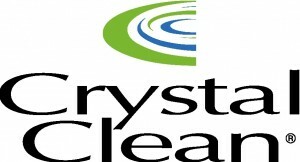 Heritage-Crystal Clean (HCC) offers member-only discount pricing on all products and services. They are the second largest parts cleaning and industrial wastes services provider in the US and guarantee to lower your environmental compliance costs. Click here to learn more. Heritage-Crystal Clean has a program designed to lessen the burdens that accompany environmental activities. Environmental Solutions Partners (ESP) is a unique approach to evaluate waste generation processes and management practices in an effort to provide members with sole-source environmental vendor utilizing the latest technology/management methods available. Along with ESP, HCC offers Vacuum Services with tank trucks capable of pumping and removing liquids containing sediment, oil and sludge from pits, separators, traps and sumps. HCC also offers Aqua-Filtration Services (AFS). 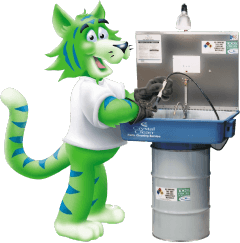 The AFS unit is a fluid dialysis system that provides continuous removal of the main causes of industrial aqueous fluid problems. Particle contamination and Tramp oil. For program details, contact iginger@vamanufacturers.com. VMA offers members exclusive discounts on the services needed to stay competitive in today's global economy.